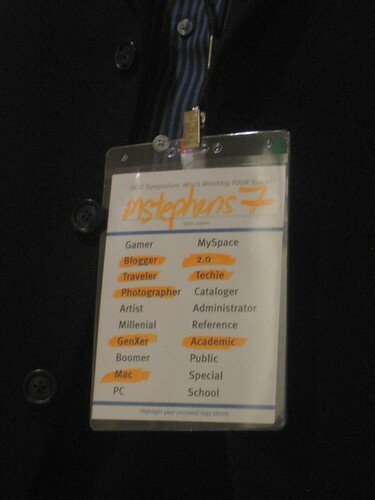 Participants tagged themselves at the OCLC Conference in Seattle this year. 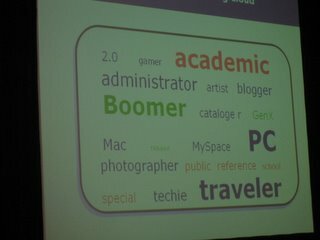 But even better, they took all the tags & made a tag cloud. Nice idea, huh?